Analytical water testing works because the water in the system contains all the information required for diagnosis of the most common problems. The Fernox laboratory will carry out a full analysis of the system water as part of the Postal Sampling Service, establishing the root of the problem and prescribing the correct Fernox treatment. Following treatment with Fernox products, the Postal Sampling Service will provide confirmation that the system has been correctly treated. This service is not available if competitor products have been used. 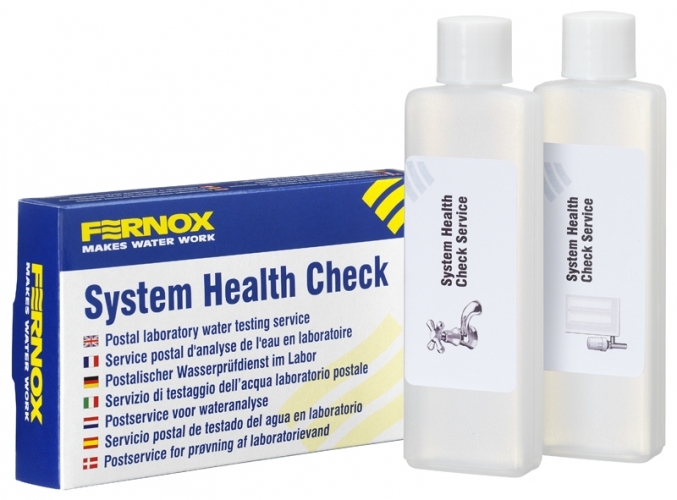 Fernox’s Water Sampling Kit provides all the necessary apparatus required to gather samples for testing. The micro-bottle kit consists of two sample bottles, a water analysis order form and a Freepost envelope. The process is simple, just fill one sample bottle with system water and the other with mains water (i.e. kitchen tap), complete the enclosed order form and return the samples and questionnaire in the Freepost envelope. The results will be returned directly to the customer.